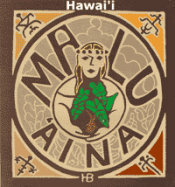 Malu 'Aina » Blog Archive » Hilo action Idea Occupy Wall St.
Hilo action Idea Occupy Wall St. Published by jalbertini on October 30th, 2011 in Public Events, Social Justice, Take Action!. Short statement for sign on at this Monday’s Merrill Lynch gathering (and via email if someone can set it up for adding names) for delivery (BY ALL PRESENT) the following Monday Nov. 7th 4PM sharp to Hilo Merrill Lynch manager Art Miho. Let the press know this is planned so education and drama builds. Add your name too: Email me to add your name.